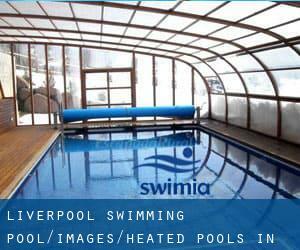 Please check the nearest Heated Pools in Liverpool or Contact us to ADD IT. It's totally free! Looking for Swimming Pools? A lot of of them belong to gyms or sport centres which also supply lessons. Water sports are escalating especially in elderly population sectors who have suffered some style of muscle or bone damage. Thanks to some new Heated Pools in Liverpool submitted on a daily basis, Swimia.com is escalating every day the number of stored pools. Please don't hesitate to make contact with us in the event you find any inaccurate or incomplete data. If you're visiting Liverpool make sure you know the rules and regulation for swimming as they may not be the identical as in your house town. Are you on holiday and want to preserve fit and healthy? Swimia.com gives you the easy and quickest strategy to come across pool near Liverpool. Wellington Road , Wavertree , Liverpool , England , UNITED KINGDOM (Postal Code: L15 4LE). This great and large sports centre lets professional swimmers like you enjoy Olympic size, 8 lanes, Indoors. Additionally, within these facilities you can try 20 meters, Indoors. Unfortunately we do not have the email address of this Swimming Pool, but we can provide you with the phone number. Carr Lane , Norris Green , Liverpool , England , UNITED KINGDOM (Postal Code: L11 2XY). Among all the activities offered by the centre, for anybody who is thinking about swimming you are going to enjoy 25 meters, 4 lanes, Indoors. Just in case you would like to contact this Swimming Pool before dropping by, we only know the phone number. 88 Rose Lane , Mossley Hill , Liverpool , England , UNITED KINGDOM (Postal Code: L18 8AG). Swimmers like you reported 18 meters x 7.5 meters, Indoors. Phone number and e-mail address are number for this Pool. Great Homer Street , Everton , Liverpool , England , UNITED KINGDOM (Postal Code: L 5 5EP). This sports centre gives 25 meters, 8 lanes, Indoors. For this Pool, only phone number is number here. Cherryfield Drive , Kirkby , Liverpool , England , UNITED KINGDOM (Postal Code: L32 8SA). Among all the activities offered by the centre, if you are thinking about swimming you can expect to appreciate 25 meters x 12.5 meters, 6 lanes, 1 meters - 3 meters depth, 1 meters - 3 meters depth, Indoors. If you must make contact with this Pool, email address and phone number are both number. 6 The Aerodrome , Speke , Liverpool , England , UNITED KINGDOM (Postal Code: L24 8QD). Among all the activities offered by the centre, in case you are thinking about swimming you will get pleasure from 25 meters x 12 meters, Indoors. Just in case you wish to contact this Swimming Pool prior to dropping by, we only know the phone number. Longview Drive , Huyton , Liverpool , England , UNITED KINGDOM (Postal Code: L36 6EG). Swimmers like you have reported 25 meters, 8 lanes, Indoors. Also, you will find 25 meters, 4 lanes, Indoors. Just in case you wish to contact this Swimming Pool prior to dropping by, we only know the phone number. Baileys Lane , Halewood , Liverpool , England , UNITED KINGDOM (Postal Code: L26 0TY). Among all of the activities supplied by the centre, should you be considering swimming you'll enjoy 25 meters x 16 meters, Indoors. If you'll want to contact this Pool, email address and phone number are both number. Updated on 2019 Speke Road , Garston , Liverpool , England , UNITED KINGDOM (Postal Code: L19 6PE). Among all the activities offered by the centre, if you are interested in swimming you will take pleasure in 25 meters, 5 lanes, Indoors. Just in case you need to get in touch with this Swimming Pool before dropping by, we only know the phone number. North Parade , Liverpool , England , UNITED KINGDOM (Postal Code: L24 2SD). Among all the activities provided by the centre, for anybody who is enthusiastic about swimming you are going to appreciate 25 meters, 6 lanes, Indoors. Just in case you desire to contact this Pool before dropping by, we only know the phone number. 1 Walton Village , Walton , Liverpool , England , UNITED KINGDOM (Postal Code: L 4 5SD). Swimmers like you reported 25 yards, 4 lanes, Indoors. Unfortunately we do not have the e-mail address of this Swimming Pool, but we can give you the phone number.